You know that moving to the cloud is a huge opportunity for your business do great things. Be more agile, be more responsive, do things better. But convincing everyone in your business isn’t easy, especially your security and compliance people who may well see the cloud as too big a risk. 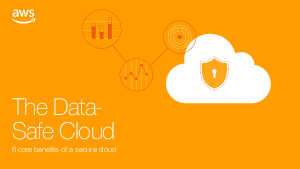 Download this eBook to learn about answering those security questions – and communicating the six core benefits a data secure cloud will bring to your organisation.